The Ruck Pack Nutrition Drink created by Major Robert Dyer is marching into the Shark Tank prepared for a "financial" battle with the Sharks. Major Dyer's is a highly decorated combat veteran and the inventor of the Energy Drink Ruck Pack. The supplemental nutrition drink was conceived while on Tour in Afghanistan after realizing there must be something better to help bring his troops back up to speed without any negative side effects. 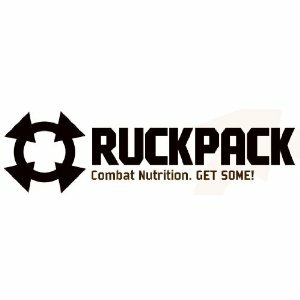 What Is RuckPack Combat Nutrition? The Ruck Pack Energy Drinks made of a tropical peach flavored energy shot with added nutritional supplement. Each shot's filled with essential Vitamins and Electrolytes packed in a single shot that Major Dyer Guarantee's you will Love The Taste. Most likely He will give all the Sharks a Shot of Ruck Pack and their reactions will dictate the negotiations. A few episode's ago when PRO-NRG was on the Shark Tank, Robert Herjevic was not a big fan of the taste, but Mark Cuban sold him on the benefit. If the Sharks like the taste, the sky's the limit on this one. The Ruck Sack is not just another energy drink, but a Brand that every service member (myself included) can identify with the benefits of this product. 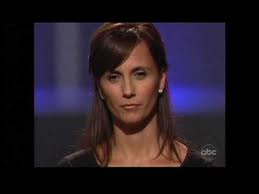 Noot's Nutrition was on CNBC Town Hall Event on Wednesday, June 20, 2012. Kevin O'Leary was reported to of made contact with Dyer shortly after the event to learn more about the Ruck Pack Product. Hm, knowing this, gives this story a whole new twist. Obviously O'Leary already has an interest in this company, so why take it to the Sharks? If you have been following his buying habit's, it's obvious, statistically he probably wants another Shark in on the offer. 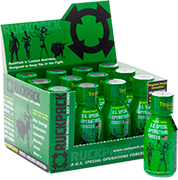 Currently, you can buy Ruck Pack Combat Nutrition Online or in 13 stores mostly in Virginia., Texas, and the Carolina's. Two of those stores happen to be 7-11 stores. This deal may interest Daymond John because of his established contacts with the 7-11 Brand. If the numbers make financial sense doing a full roll-out, look for John to make a generous offer. On a larger scale, it's hard to imagine Major Dyer doesn't already have a commitment with the Military already pending. This reason is why the Ruck Pack Combat Nutrition made in the first place, and my moneys on some form of contract will be revealed to get the Sharks circling on this deal. You can order a 24 pack of RuckPack Shots for only $54.95 (a little over $2.00 a shot) which is a 1 Month's supply. It's almost like taking liquid vitamins plus a whole lot more. Everything your body needs to stay alert without the effects of caffeine. DEAL - Major DYER gets a Deal with Kevin O'Leary and Robert Herjevic for $150k and 20% of the company. "Double" what He was asking from the Sharks. Double the money and double the Sharks investing in the ruck pack product. That's A Great Deal He accepted with very little hesitation. Congratulation's "Rob", look forward to trying some soon. Thank you for a great article! Couple typos in the last name (not that I haven't grown up hearing it that way! ), but great information. You said you could identify with our goals. Are you a vet? If you have some business ideas circling, give me a shout on our Facebook page and let's link up. Amazing story, great episode. This is the first product I've seen on Shark Tanks where I felt like I had to go look it up online. I'm an attorney and have often spent long hours fueled by Monster, Coffee, and just about any other stimulant I can legally consume. I really wish I could try this product without having to buy a whole month's supply, but I completely understand that your current distribution capabilities restrict you. I can't wait till I can find this on the shelves in Oregon. Good luck to you Sir. IF your company ever goes public, I'll be buying shares! More deaths linked to 5-Hour Energy. America NEEDS a healthier choice... Thank You RUCK PACK! Good to see you made it on Rob. You've come a long way from NPS. Can't wait to tune in tomorrow! I hope all of them want to invest in RuckPack! Get em Rob! You have a great product, and personally working in the environment and with the soldiers, sailors, airmen and marines that this would benefit - RuckPack should be available to them all when needed. GET SOME! 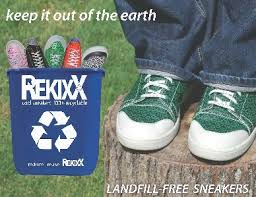 Shark Tank gives this company $150K to increase production to meet sales. Interesting. Where are the sales coming from? The website for Ruck Pack is non-operation. After trying to get onto the site several times, the same message has been present; "Service Unavailable." Without an operational website, the sales are going to be dramatically effecting. Very sad. As a big fan of energy shots, out of necessity, I was truly looking forward to giving this product a shot. I just don't have the time to continuously check the website to see if they have corrected the problems that are preventing the site to work. It is being overloaded with requests. I didn't have trouble until the show ended. 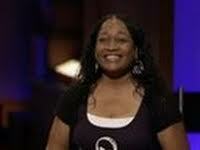 JoAnne they are experiencing the "Shark Tank Effect" and the website is getting SLAMMED right now. Give it a little time after the west coast airs and you'll get om. Two Canadians do double the deal. What do you say to that? Thanks Rob for serving our country. 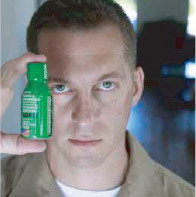 I'm not military but hands down gonna he my goto energy shot. Can't wait to order some. Blessing to you and your family and business partners. I am a single parent, who needs an energy boost often. It is nice to know there is an option out there that won't hurt my heart. Mom's need Ruck Packs Too! These need to be in all sporting goods store's around the entire country. Have you made contact with Cabella's or Big 5 hunting and outdoor type stores yet? Looks like a great product that is needed for all Armed Forces. The only improvement I would suggest is adding the RiboCeine. Good luck guys with your great business. Let us know when you go IPO. Monster and Red Bull better look in the rear view mirror. Ruckpack is going to take it all! Let's get every store set up on Oceanside Blvd.! Lmao @ the CAR comment. I think this is an awesome idea, however, did anyone else notice how FUBAR his uniform was? I was confused as to why he was wearing the old jungle's that were decommisioned over 8 years ago, and didn't have any rank insignia on his collar or name tapes. Weird. Whatever the case, I'd buy it. Good to see someone worthy of being on this show who deserves the success! Congrats Major. Looks like a fine product. This has to be better then all those artificial "high energy" drinks that bring you up, then crash you right down. Love the concept. This may blow other old people's vitamins out of the water, mainly because it's liquid and probably wouldn't affect old people's digestive systems adversely the way some hard vitamin pills do. So, don't forget to include seniors in your target market - it could be huge! When my wife Anna started taking my RuckPack, that's when I knew something was up. All of us had the same effect going with friends and family. We just wanted to do something better than what was out there. The response has been incredible and I hope you all enjoy the effects of RuckPack. Rob. Can you get the Sucralose out of your drink? There are better alternatives that are not insecticides. I want to switch to your drink but I don't want to drink poison. Can you drop the Sucralose? There are better alternatives and that stuff is bad bad bad for you. Hoping to see this everywhere soon. Energy drinks should be healthy by definition. Did anybody else cringe when Mark referred to him as being in the Army? Whoops. I think folks in the armed forces are just a little bit sensitive about that. Hope it comes to Cali soon! I see this taking off for Law Enforcement, fire, paramedics, first responders. I will be looking for it! Sounds awesome. Congrats! Sounds great but unfortunately there are multiple sources of synthetic vitamins and trace minerals in this product. If they had chosen to stick with 100% plant sourced nutrients, they would have something huge. Synthetics are sourced from petroleum products are not what the body was created to function on for optimal performance. If you can't pronounce it and the source stated is not from food, dont put it in your body. Just saw the re-run of your episode and I love idea! I'm an insurance agent in SC and our team of 60+ is always traveling at various hours. We buy Rip Its by the case and would love a less damaging option. Gov. Brown recently banned my favorite vitamin drink Lipovitan - I would like to try Ruckpack as it sounds similar. Can Ruckpack be shipped into California by UPS , Fed Ex or regular mail? If not, where can I buy it without having to drive too far from Calif. ? Thank you.